These “recovery houses,” sometimes also referred to as sober living homes, sober homes or sobriety houses, are commercially run residences where small groups of people who are battling addiction live and eat together, go together to meetings of Narcotics Anonymous or Alcoholics Anonymous and support each other as they go to therapy. Though such homes are only loosely regulated and have come under scrutiny in some states for cases of mismanagement, some of these facilities have also saved lives, survivors of addiction say. But operators of the facilities often demand “cold turkey” sobriety, and that’s a problem say specialists in addiction treatment. “When you’re by yourself, you kind of feel lonely,” she explains, and that makes it easier to kid yourself into thinking you can skip Suboxone for one day and use heroin instead without long-term consequences. Rivell figured if she combined her daily dose of Suboxone with a supportive living environment, she’d have a better chance of staying sober. 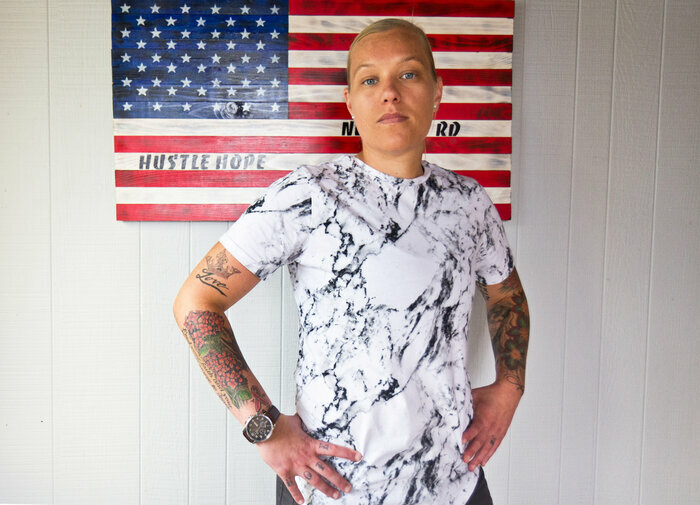 With her stay in a medically supervised rehab facility coming to a close, Rivell started calling around to see which sobriety house might have room for her, as a next step in her recovery. But it wasn’t looking good. Rivell’s experience is not unique. And as many doctors and government agencies now consider these medical treatments part of the standard of care for opioid addiction, some are concerned that recovery houses with rigid rules prohibiting them are pushing more users into homelessness. After Rivell called around for a few days, she began to worry that would be her fate. Her mother told her she couldn’t come home. Rivell says her therapist suggested she try going off Suboxone — to have an easier time finding housing. “I was scared because I thought I was going to go back through the cravings and be sick again,” she says. Williamson opened her first recovery house in Southeastern Pennsylvania in 2014, when she was just 25 and had been sober only a year herself. Initially, Williamson didn’t allow people using Suboxone or methadone to live in her houses — the medicines seemed like a crutch, she says. “I tried heroin when I was 15 years old,” says Williamson, who quickly progressed to using the drug every day. She spent time homeless and on the street after that, and credits the recovery house she ultimately found with saving her life. “I was 98 pounds and willing to do anything for the next fix,” she remembers. With the support she got in the sobriety house, Williamson was able to quit heroin cold-turkey, back then; she figured others could, too. “If you refuse to house residents who utilize maintenance medications or do not provide this option in your treatment programs because of personal opinion — or you believe this will ‘jeopardize the recovery of people not using medication,’ your misinformed blindness is part of the problem,” Feldman said in her post. Ultimately, Williamson says, it was the number of overdose deaths among young people that pushed her to try something new. She’d had a number of residents of her recovery homes die soon after they move out. She’s since opened three more in the area — so now owns three for men and one for women. To make things easier, she decided to create housing exclusively for those on MAT, rather than integrate these clients into her other housing. She was worried that people on MAT would feel pressure to get off problematic opioids too quickly if they were around people who were not using maintenance medication. And if people who weren’t on MAT were in a house where Suboxone was being stored, even securely, she worried about the potential for its misuse. They see someone on MAT as “still using,” Way says. “I don’t see any other condition or disease,” she says, “where you basically ask the person to forego the medication treatment,” as a condition for getting help. Williamson’s new recovery houses aren’t the only signs that the tide is starting to change. Earlier this year, Philadelphia began requiring that the 18 recovery houses the city funds accept people who are on medically assisted treatment for their opioid addiction.